Hello Foxy Friends! 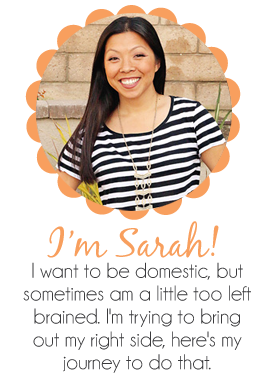 Today I'm participating in a super fun progressive party hop...what you might ask that is? 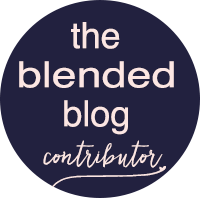 Well, the ladies over at The Blended Blog have put together three weeks of progressive parties. You start at one blog for drinks, then hop on over to the next for apps, then main course and dessert, how fun is that? 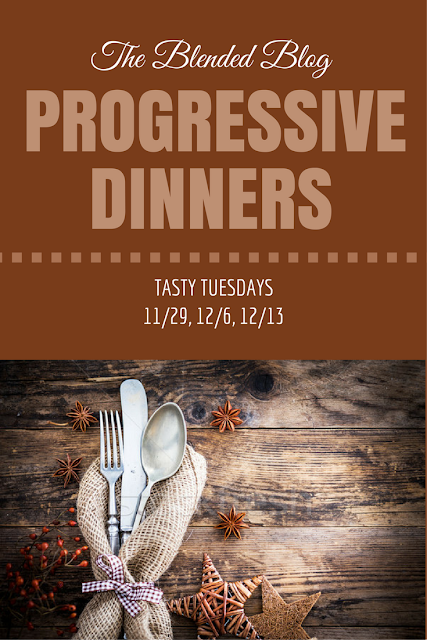 This week we decided our progressive party theme is an easy after Christmas meal, cause who wants big elaborate meals after all the holiday eating? If you're coming from Deena's blog, welcome, if you are starting here, go back to see what Deena has you drinking before you see what I have for your apps. Everyone likes eating appetizers right? 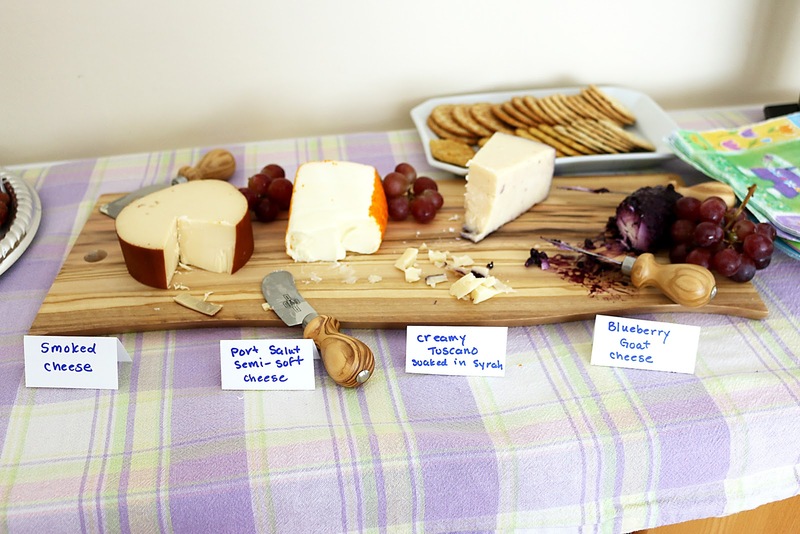 You show up to a party and you just want to snack on something while chatting with friends, I'm here to show you how to put together a fun cheese tray. I personally like hitting up Trader Joe's, for those that don't have a Trader Joe's, hit up your local grocery store and head to the fancy cheeses. TJ's has a to of choices, almost too many choices! 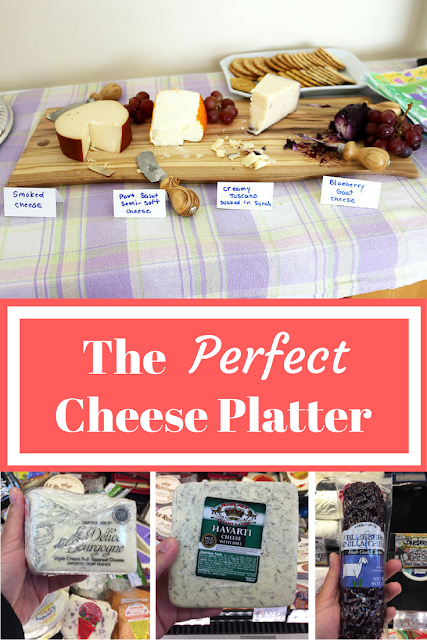 This is always the one we get when putting together a cheese tray, it is so delicious, goat cheese, yum! If they don't have any of this particular one, get a goat cheese, you won't be sorry. These are some of the other choices I would have picked. I would pick 3-4 because that's what is going to look good on a cheese platter. For Easter this year we were in charge of bringing a cheese platter, and guess what I bought? A cheese tray, I felt so grown up buying my very first cheese tray and knives...I got this these cheese knives, the cheese tray we bought is no longer available, but we picked on that was long so that we could fit more cheese on it...I added some little cards that I made, but these are super cute, or something like this , which I have since bought since Easter. I added some grapes, cause isn't that what you're suppose to do? I bought a variety pack of crackers from TJ's and called it a day. 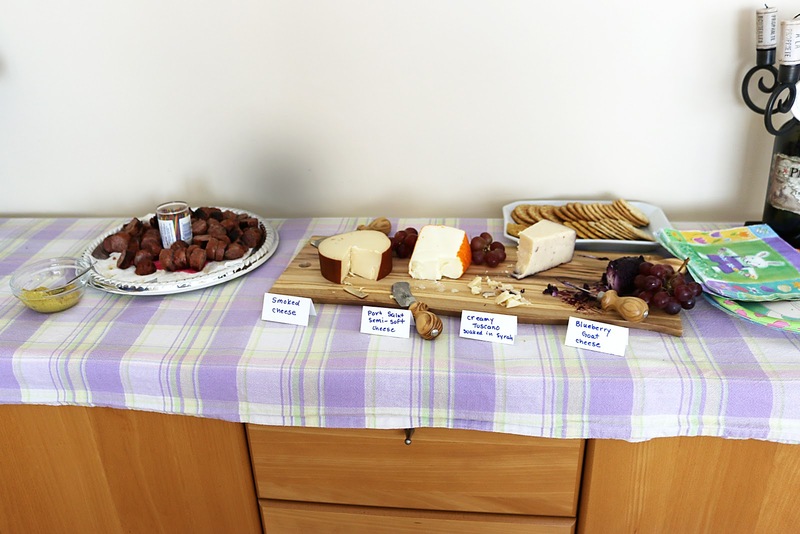 So there you have it, notice when I took this picture, that most of the goat cheese one (on the right) is half gone. So good, now I want to go get one...Now go see what you're going to eat for your main course at Lana's blog. Don't forget to enter my giveaway for $125 to Kate Spade, click here for that.